Horror lovers unite! Yes, it�s that time of year again when lovers of zombies, masked axe murderers, stupid teenagers and all things horrific congregate to the Crown Plaza Chicago O�Hare in Rosemont, Illinois for the Flashback Weekend horror convention. Back in 2002, the Flashback Weekend was finding its footing in serving up a modest assortment of movies and conventioneer activities, but it has since become a major institution (in a good way) for devotees of the genre, if for no other reason than for being the first and only horror convention that screens its movies outdoors under the starry summer sky. Why outdoors? Because founder Mike Kerz loves it that way. �Man, I love the drive-in � that�s my inspiration,� Mike has said. �Drive-ins are a pure piece of Americana and it�s a damn crime that they are being allowed to slowly fade away.� It comes as no surprise to learn that the ringmaster of Flashback Weekend also owns one of the oldest drive-ins in Illinois, the Midway (in Sterling, IL), where earlier this year he hosted an all-night horror movie marathon. The average horror movie junkie and movie purist has no greater friend or ally than Mike Kerz. True to form, this year�s Flashback Weekend continues the tradition of topping previous year�s conventions. For starters, there�s the 40th Anniversary celebration of the immortal George A. Romero classic Night of the Living Dead, currently making its Midwest Tour. For the occasion, Mike has assembled cast and crew members Judith O'Dea (Barbra), Russ Streiner ("Johnny" and co-producer), John Russo (co-writer and also numerous zombies in the film), Marilyn Eastman ("Mrs. Cooper", bug eating zombie, and make-up artist), Kyra Schon (Karen Cooper), Bill Hinzman (�Graveyard Zombie"), George Kosana (Sheriff), as well as�(drumroll please)�Writer/Director George A. Romero. If that weren�t enough of a ringing endorsement, Romero is actually making his second appearance at Flashback Weekend (the first was back in 2005 for the 20th Anniversary of Day of the Dead). 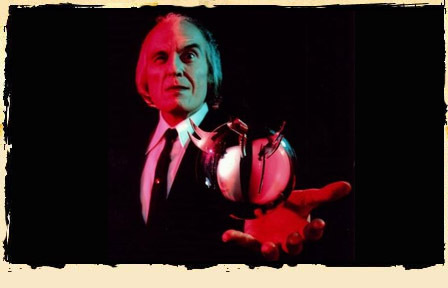 Joining Coscarelli for the Phantasm reunion are Reggie Bannister, Bill Thornberry, Kathy Lester, Michael Baldwin and, of course, the Tall Man himself, Angus Scrimm. But Flashback isn�t always about flashing back. Often, it hosts several premieres of low-budget homegrown horror films as well as hit films on the Festival circuit. This year, Flashback will be screening the Toronto Film Festival late night slasher favorite All the Boys Love Mandy Lane (read Scott Weinberg�s review here) due out in theaters in the fall of 2008. In years� past, Flashback has presented several short films in their screening rooms (which tend to run all day), including episodes of Showtime�s Masters of Horror series. (Keep checking the schedule for updated listings). But what would a convention be without costume contests, discussion forums and more guest stars? It wouldn�t be Flashback, that�s for sure. In addition to the cast and crews of Living Dead and Phantasm, fans can finally meet the legendary Elvira � Mistress of the Dark (a.k.a. Cassandra Peterson). Kerz has been trying to get Elvira to make an appearance at Flashback for a number of years now and it looks as though that dream is about to come to fruition. Another Flashback staple has been the appearance (and screenings) of whichever Rob Zombie film came out the previous year. So, naturally, the cast of last year�s Halloween remake (Scout Taylor-Compton - "Laurie Strode" Danielle Harris - "Annie"
Kristina Klebe - "Lynda") will do a meet-and-greet (as of this writing, no screening of the Halloween film is scheduled, but keep checking). In addition to that, the original Michael Myers from the 1978 Carpenter film, Tony Moran, will be on hand. Of course, every movie convention of any kind has to have a dealer room. The Flashback dealer room has become more of a dealer arena over the years. It just keeps getting bigger and bigger and bigger and� Make-up artists will also be hosting demonstrations and there are sure to be many in-depth discussions panels consisting of filmmakers, critics and horror enthusiasts about the current state of the genre. How can one keep up? Flashback Weekend takes place on June 27 � 29, 2008.